Another Successful Year for Green-Schools! As another school year closes, we must congratulate the Green-Schools committee on another successful year! This year, through lots of hard work and support from the whole school community, we were awarded our 6th Green-Schools flag for Global Citizenship: Litter and Waste. What a great achievement! We have had some wonderful events this year; The Recycled Halloween Costume Competition, Green-Schools Week, Walk on Wednesday and the Recycled Batteries Collection where we collected almost 4,000 batteries! 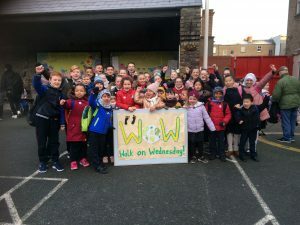 The Green-Schools programme is a great way for our pupils to learn about caring for their community and the environment. 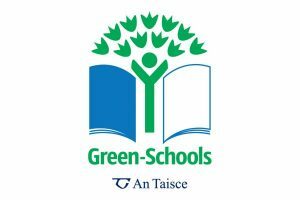 Thank you to everyone involved in the Green-Schools Committee. We hope you have a safe and happy Summer. 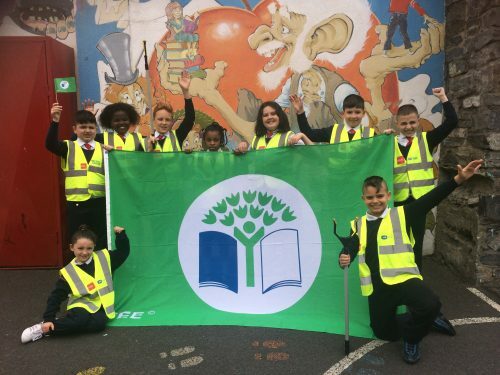 We are delighted to announce that we have been awarded our sixth Green-Schools flag for Global Citizenship: Litter and Waste! Can you believe it?! Thank you to everyone who helped us achieve our new flag! The children and staff of our school have worked very hard over the past two years to learn about how litter and waste affects our planet and what we can do as citizens to help look after our environment. If you think about it, all we need is each person to do one little thing to help and we could all make a huge difference together! You could decide that will throw all of your rubbish in the bin, recycling more, re-use instead of throwing things away or buy more fair trade products. The choice is yours! Ann’s Farm Comes to Gardiner Street School! We welcomed some wonderful visitors to our school this week! Ann from Heritage Schools came to visit and she brought some very special friends with her. Ann is a farmer and a nature expert and she brought along her little lamb, Tómas, a hen called Bríd and a rooster named Alfonso! Ann told us all about the animals. Tómas is only 13 days old! The children learned about the wool that we get from sheep and they got to see a lovely, colourful rug Ann had knitted from wool. Tómas got very hungry and Ann had to feed him with a bottle. She told us that roosters and hens puff up their feathers when they are mad! Ann also brought along lots of bits of nature like ivy, primrose flowers and branches. We talked about how important biodiversity is to our planet. We don’t have to go very far to discover how wonderful nature is. The children really enjoyed their day with Ann!